The petition was published on the website of Avaaz on January 28. The U.S.-based Avaaz is a civic organization that promotes global activism on different issues such as human rights, corruption, poverty, conflicts, climate change, animal rights, etc. 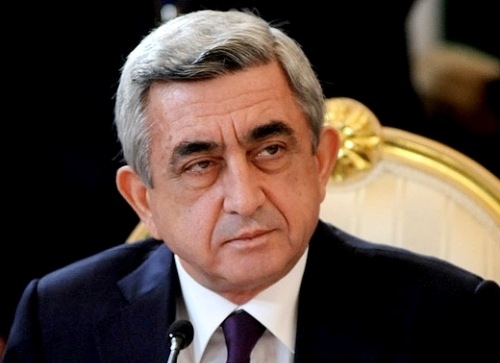 “Unfortunately, Serzh Sargsyan, current President of Armenia, still remains unpunished by international organizations for his policy of attacking Azerbaijan for several times,” the petition reads, noting that he commanded groups that organized Khojaly Massacre, in which hundreds of Azerbaijanis were killed by Armenians. Khojaly, the second largest town in the Nagorno-Karabakh region of Azerbaijan, came under intense fire from the towns of Khankendi and Askeran already occupied by the Armenian Armed Forces in 1992. About 613 civilians mostly women and children were killed in the Khojaly Massacre, and a total of 1,000 people became disabled. Eight families were exterminated, 25 children lost both parents, and 130 children lost one parent. Moreover, 1,275 innocent people were taken hostage, and the fate of 150 of them remains unknown. The petition further reads that Serzh Sargsyan was also directly involved in the occupation of Azerbaijan’s Nagorno-Karabakh region and seven surrounding regions back in 1990s. “His military, political aggression has to be deprecated by the international community,” it says.